Oils are so much more than the pale liquids lining grocery-store shelves. In the realm of beauty and botanical-based skincare, we treasure products whose ingredients provide what’s needed to stay healthy and hydrated. It is a fact of life that our skin changes over time; we do our best to maintain a balanced diet, drink plenty of water, exercise when we can, and smile often, but sometimes we need to supply our skin with what may be missing. 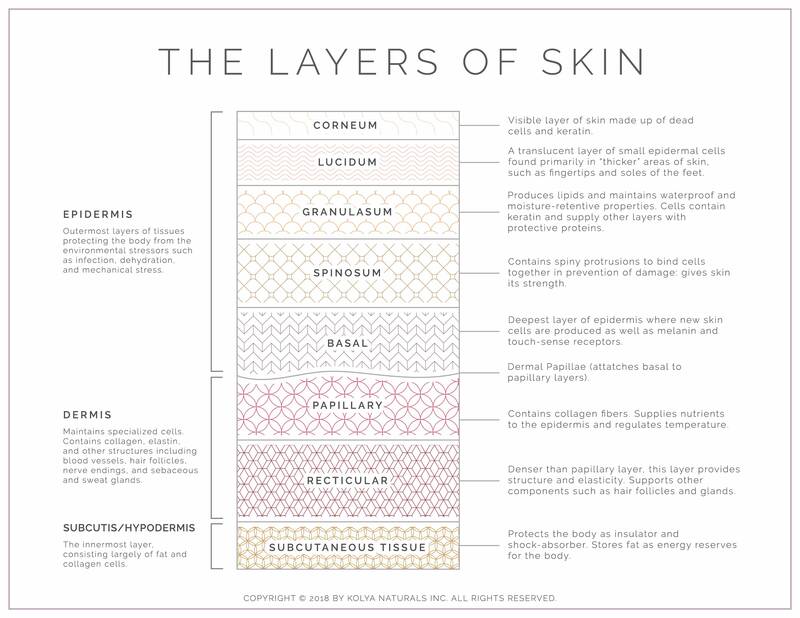 Healthy skin depends upon the integrity of the stratum corneum, the outermost layer of skin that divides our bodies from the world. Common skin conditions, such as acne, dryness, or excessive oiliness, most often occurs when ratios of lipids and fatty acids are out of balance. A common reaction to alleviate oily skin, for example, is the complete avoidance of all oils: it is in fact treatment with oils that most likely returns our skin to normal. You can learn more about Oil Cleansing for Glowing Skin here. The skin naturally produces its own fatty acids, making up around 90% of the lipids on the surface. We call these lipids sebum, as it is produced in the sebaceous glands: sebum is crucial to the suppleness of our hair and skin. Sebum is simply a complex mixture of triglycerides, waxes, squalene, cholesterol, and fatty acids. Fatty acids are also part of the acid mantle, which is the slightly acidic environment natural to the stratum corneum, meant to ward off bacterial infection and microorganisms from all layers of the skin and body. Our natural sebum combined with plant oils may complement each other, in turn producing active, soothing, smoothing, and protective effects. Not all lipids are oils, but all oils are lipids. Lipid comes from Greek lipos, meaning “fat.” This is the main component of an oil, a staggering 95-99%. The remainder, minor but important, are the unique plant compounds that give various oils their colour, taste, scent, and complexity. Bearing this, the world of carrier oils is vast. We love carrier oils because they complement our natural skin sebum. Proponents of essential oils use the term “carrier” oil because of their ability to “carry” essential oils into the body. In the realm of DIY formulation, we may also call carrier oils “base,” “fixed,” or “vegetable” oils. They are most often obtained from the fatty nut or seed of a plant, providing a rich source of vitamins and essential fatty acids. All have their own unique qualities, and all serve as an emollient: Emollient, from Latin emollire, means “to soften.” They overcome dryness and protect against water loss and some environmental stressors. Indeed, emollients are absolutely key to improving the feel and appearance of our skin. 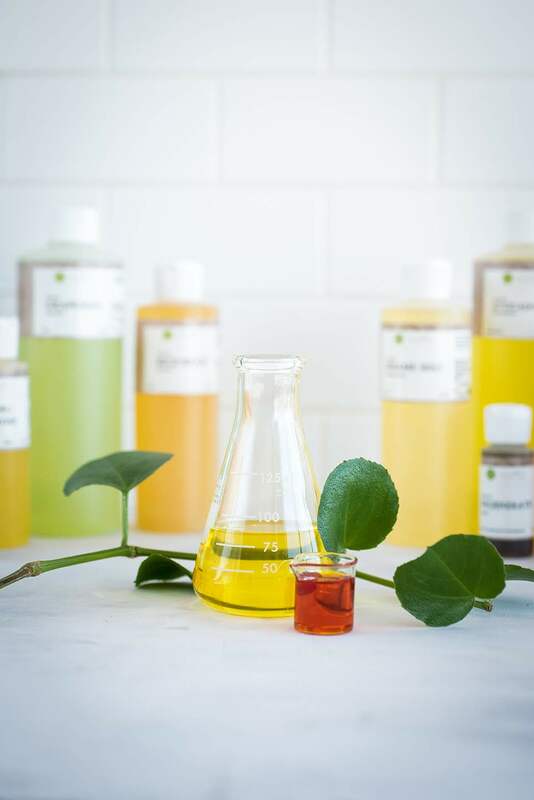 Most oils are similar in structure, but the plant kingdom is extremely diverse: the range, variety, quality, and properties available to us make our skincare options truly extraordinary. 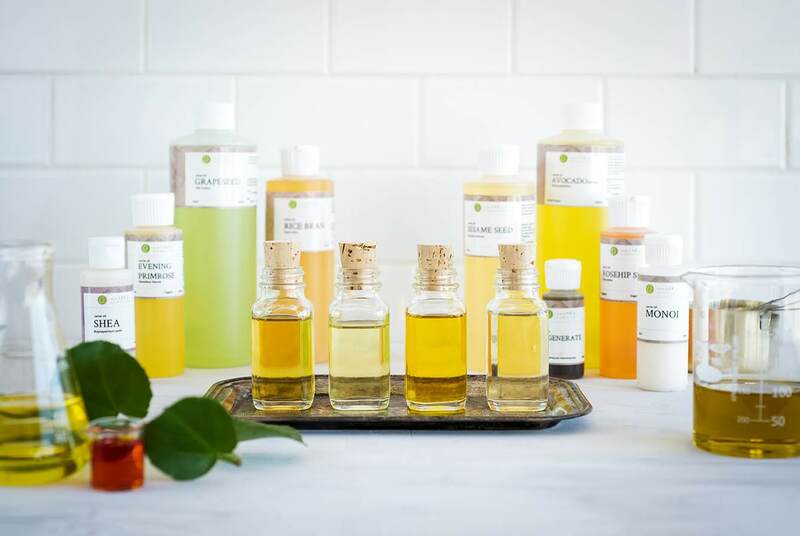 Even the simplest of oils can remove makeup, cleanse the face of dirt and impurities, hydrate, and supply the skin with countless healthful properties. At Kolya, we prefer to use plant-based ingredients that are ethically-sourced, organic where possible, and as close-to-nature as we can get. We encourage you to get to know the oils by themselves and in your products more intimately. As you learn, you’ll gain the confidence to create your own unique twists on the many recipes we share, such as our DIY Facial Oil Cleanser. Natural and necessary, oils are as sensual and medicinal as they are beautiful and vibrant. There are countless oils from every corner of the earth available in every colour, scent, texture, taste, and application imaginable. Plant-based beauty is a fascinating and seemingly endless place, so we’re starting simple. Stay tuned to Kolya Naturals’ social media as we begin our exploration into carrier oils beginning with our humble favourites, and refer to Our Guide to Carrier Oils, Powders and Waxes if you are curious about the properties of carrier oils. From now until March 15th, enjoy 20% off carrier oils! Shop Now. Samantha is an avid gardener, silly cat person, and bath & body formulation geek. She has been with Kolya since early 2017 and wholeheartedly believes in magic.